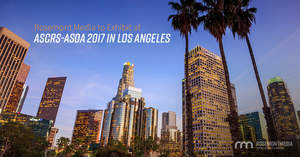 SAN DIEGO, CA--(Marketwired - Apr 27, 2017) - This May, medical website design and SEO firm Rosemont Media will be joining leading eye care professionals from around the country at the ASCRS-ASOA Symposium & Congress -- an annual meeting presented by both the American Society of Cataract and Refractive Surgery (ASCRS) and the American Society of Ophthalmic Administrators (ASOA). This year's event will take place in Los Angeles from May 5-9, and will be a joint meeting with the Asia-Pacific Association of Cataract & Refractive Surgeons. The conference will feature educational presentations and exhibitions from renowned physicians, as well as experts in related fields. This will be Rosemont Media's third consecutive year attending the meeting, and the company will be exhibiting examples of its work at booth #655 on May 6, 7, and 8 from 9:00am-5:00pm. The SEO agency's Director of Medical Consulting, Brian Lyle, will be present to answer questions and share information about available services, including responsive website design, social media marketing, reputation management, and more. Consultant Amy McDowell and Ophthalmology Business Development Specialist Todd Olvis will also be at the booth to showcase examples of Rosemont Media's products and provide helpful information. Outgoing ASCRS president Dr. Robert Cionni is a current client of Rosemont Media and has worked with the agency since 2008. "We are incredibly proud to have the honor and privilege of working with distinguished physicians such as Dr. Cionni," says Rosemont Media's CEO, Keith Humes. "This year, we are looking forward to establishing new relationships and helping even more eye care professionals learn how digital marketing can positively impact their practices." 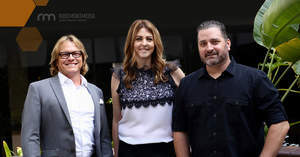 Led by CEO Keith Humes, a 16-year veteran in medical marketing, Rosemont Media is a full-service digital marketing agency specializing in online strategies for elective healthcare practices. Some of the customized services offered by the San Diego-based firm include link building, search engine optimization (SEO), media buying, and content marketing. Offering clients a strict exclusivity clause, the web design company is committed to working with only one practice per specialty in each market. Rosemont Media has a long history of providing Internet marketing solutions to some of the most respected ophthalmologists, LASIK surgeons, and cataract surgeons in the country.